Looking for ladies fine jewelry? Want to do business with the same folks who run Titanium-Jewelry.com? Since 1988, Yates & Co Jewelers has helped thousands of folks with unique fine diamond jewelry. 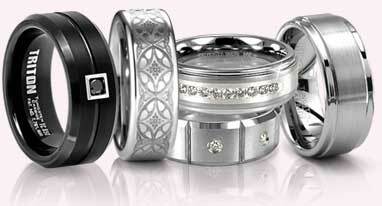 In 2002, we opened Titanium-Jewelry.com website specializing in contemporary metals jewelry, mainly for men. Swing on by. Give us a try. We're the same folks who have been helping you here since 2002. Gorgeous ladies fine jewelry. At prices that will delight you.